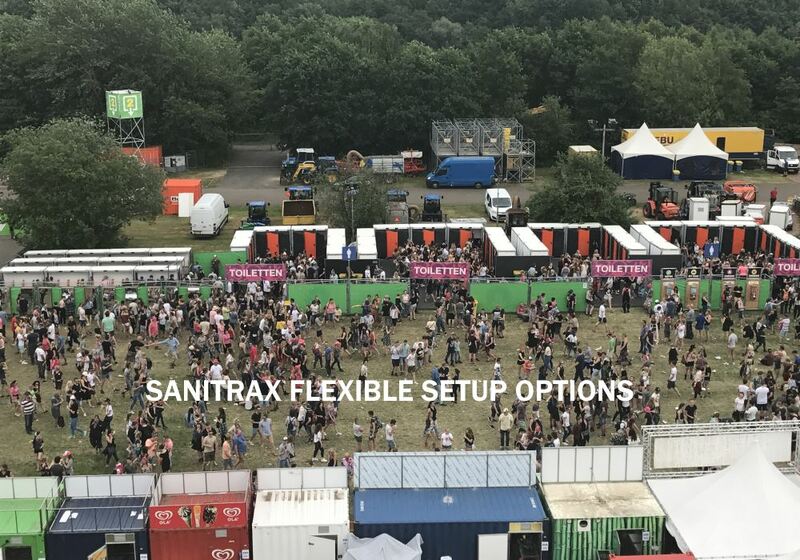 In the market for temporary sanitary facilities there are many players, But there’s only one like Sanitrax! 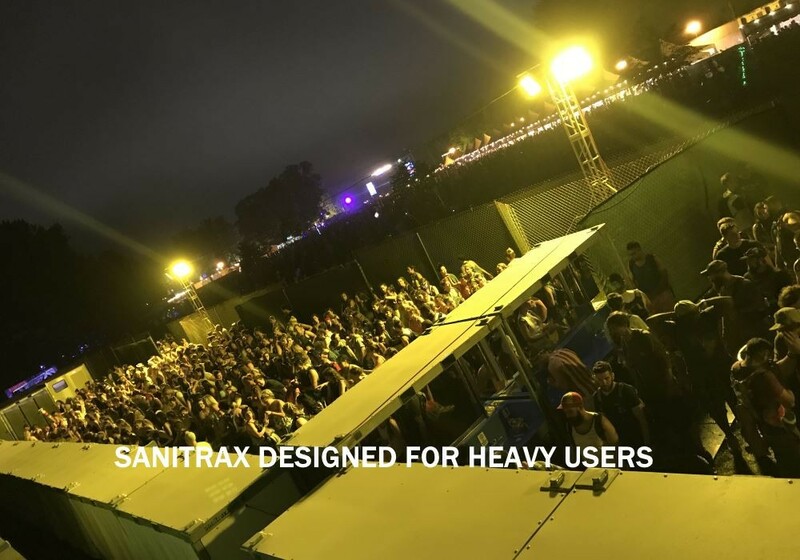 We serve events, festivals, construction sites, military missions and humanitary aid operations. Our focus is customer satisfaction and continuous improvement. We stand out because we listen, learn and deliver! Because we listen to our customers, strive for continuous improvement and think cleverly. This leads to better products and higher service. 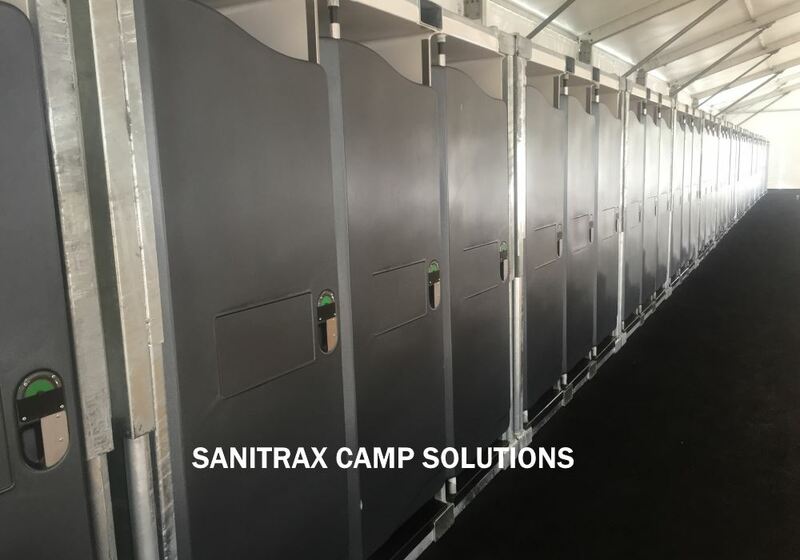 Our unique vacuum technology saves up to 90% in water and creates superb hygienic facilities, that’s what our clients want. 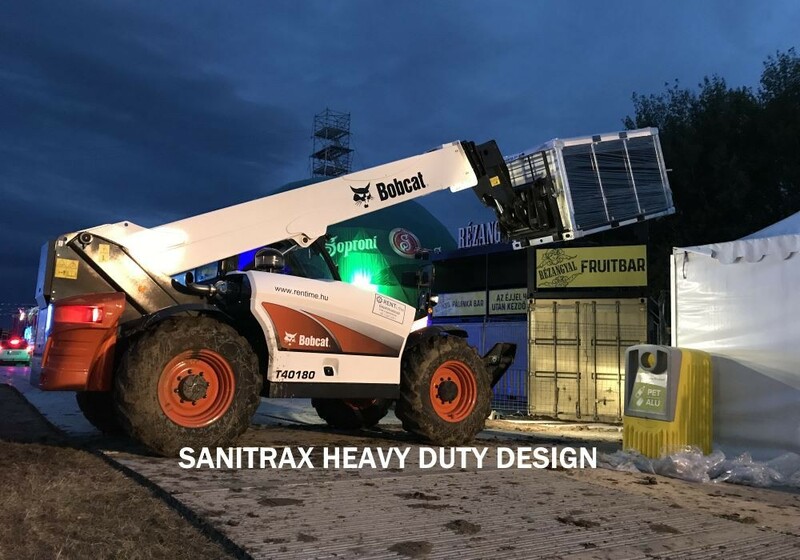 This technology together with superb modular design of our units guarantees the desired rapid deployability, low logistic cost and high set-up flexibility. 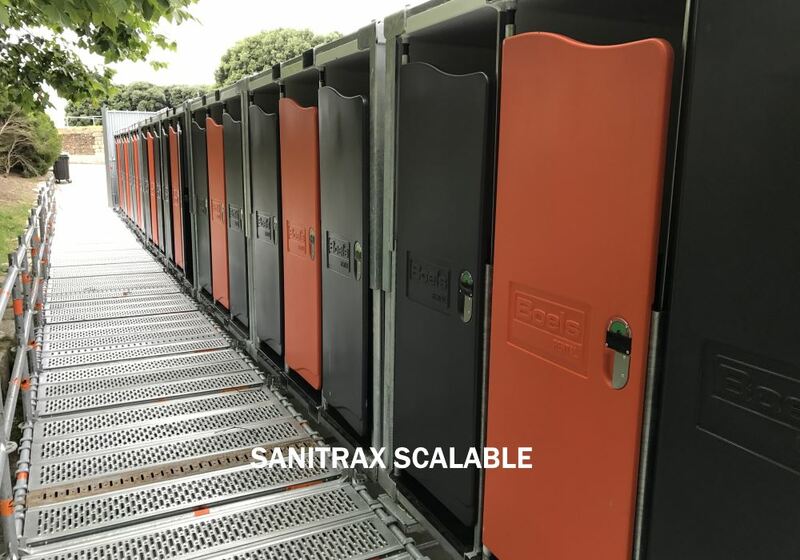 And how about our unique Sanitrax App to monitor and manage the on-site installations? 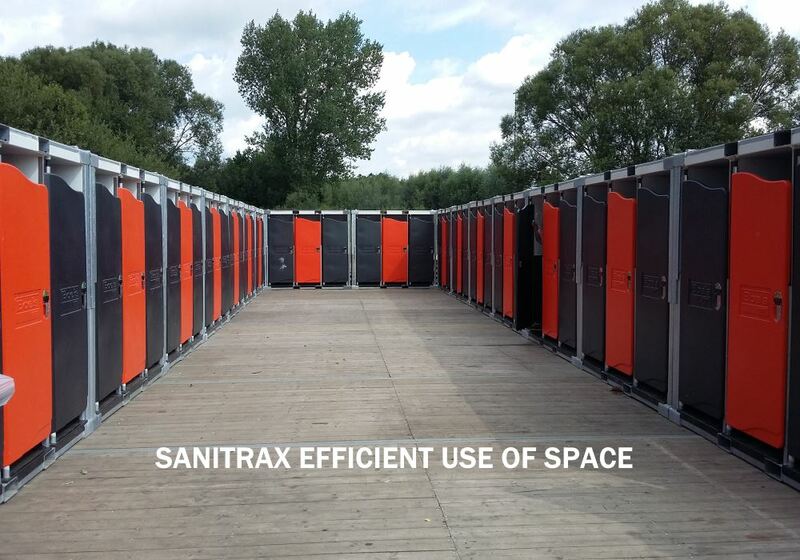 Our units use less space than other alternatives, which is a good thing if (like at events) space is at a premium! 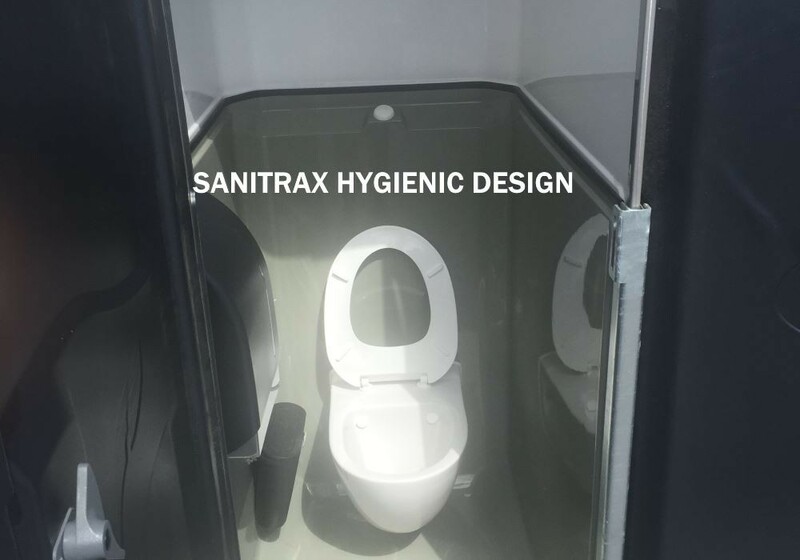 Your customers perceive our units as more hygienic, so there will be no barrier to using them. Your customers can comfortably stay longer af your event! And that is where you can boost your sales! And, our units are monitored by app, lowering your operational cost significantly. 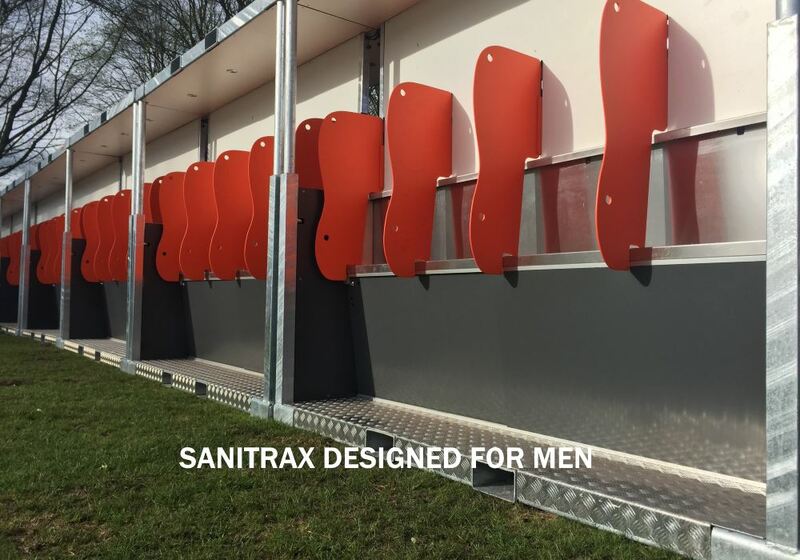 Sanitrax is the most sustainable option in the current mobile sanitary market. 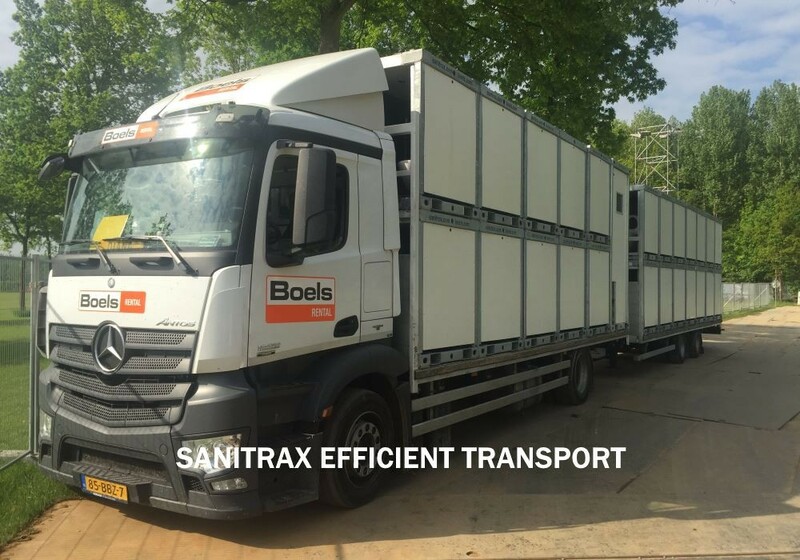 With our technology we save on water, transport movements, the use of chemicals and energy. 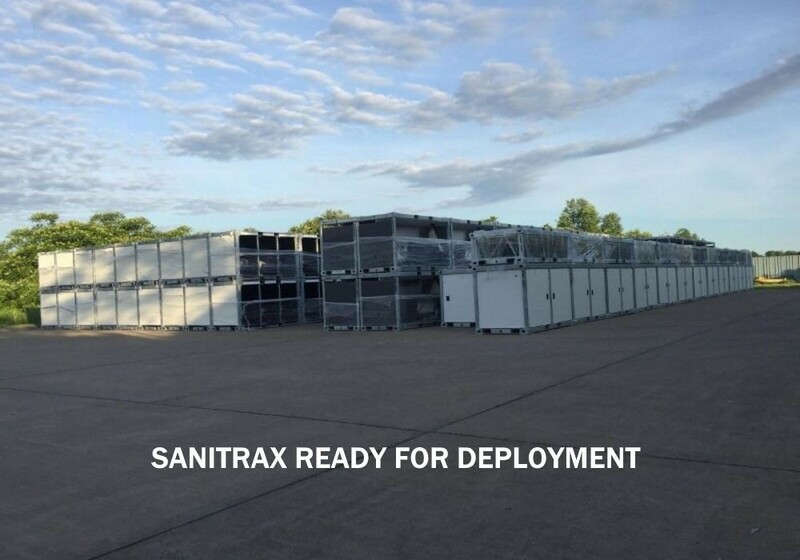 Sanitrax Units are also very reliable (and shockproof!). 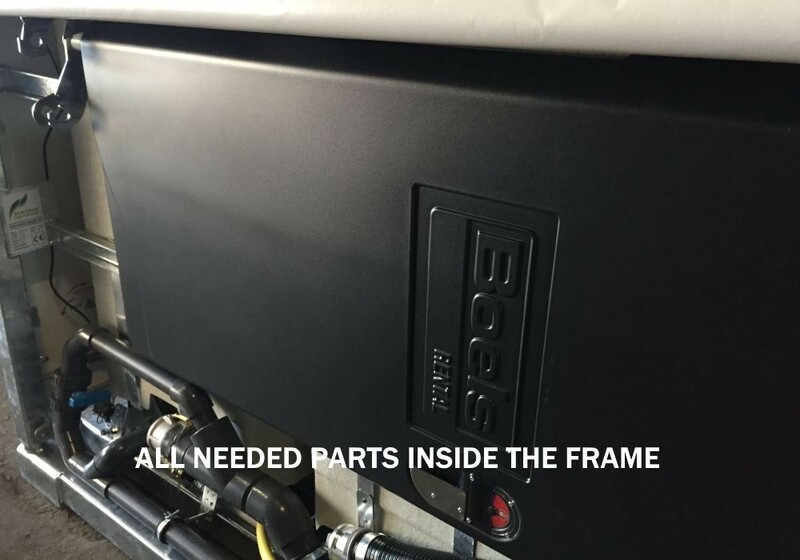 Our units are built in a heavy duty galvanized steel frame. 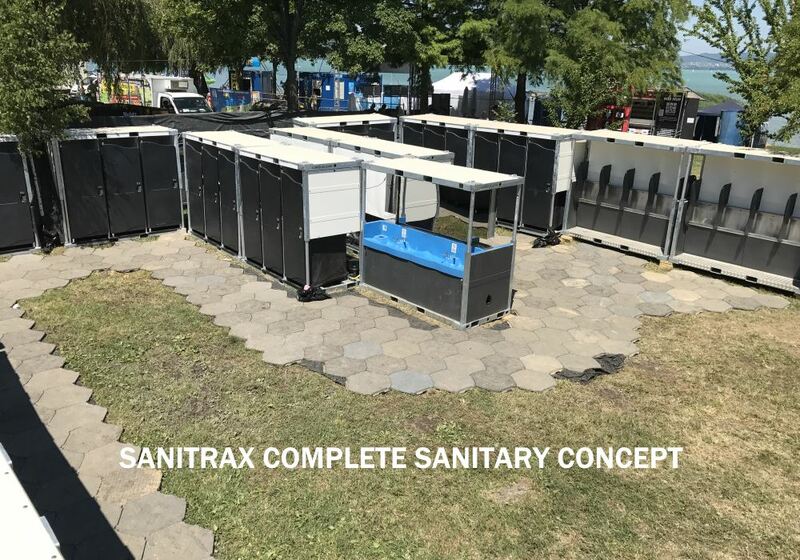 From 3 toilets for a family event to larger combinations of urinals, toilets and shower stalls for military operations and relief efforts to 750 toilets and urinals for large outdoor events. No problem, we can deliver! 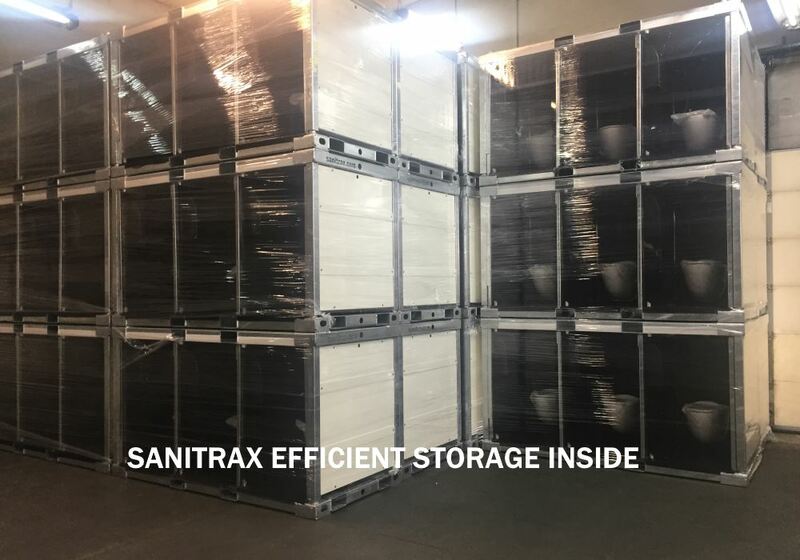 Sanitrax has already proven that we can handle the toughest challenges. 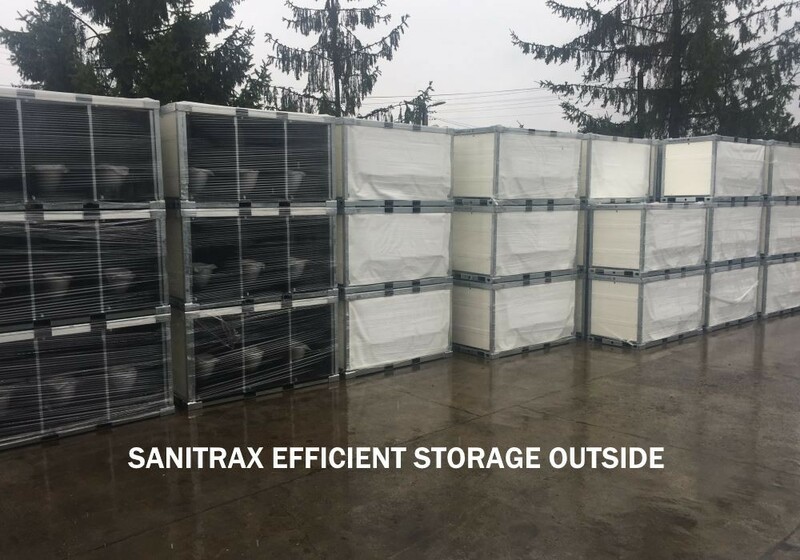 Check out our complete product range and contact us to brainstorm about the best possible solution for your required facility.